(That’s my photo, and sorry, it was a gray day). 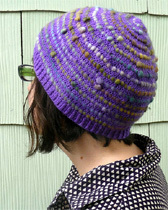 I actually got to keep the project, but I sold it off in my Etsy shop to a lovely blog friend (You know who you are. I was going to mention you by name but then I thought, what if they are presents, and your recipient magically reads my blog? Just in case, I’ll be quiet). 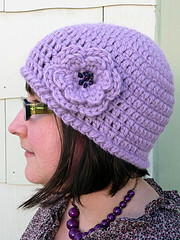 I want to make more at some point, but I am not all that into the holidays just yet. Maybe because I experienced them in June or whenever I was making these projects? I also made these paper and fabric cards. Super easy- check the magazine for detailed instructions. 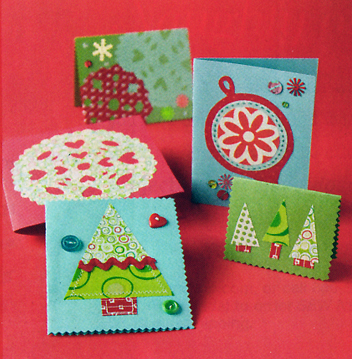 As you can see, I did not stick to just one style of card, so you can get lots of ideas from the magazine. 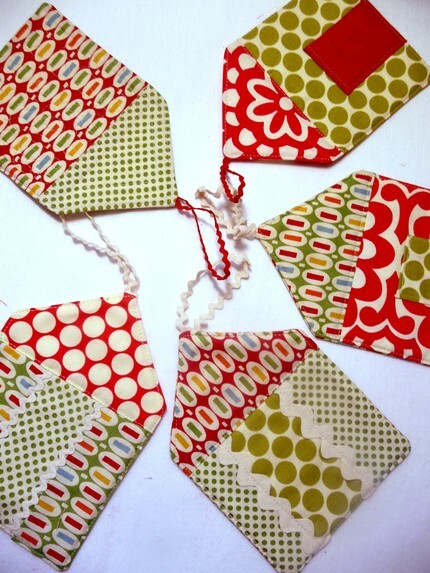 I’m thinking I’ll do something similar for my cards this year, if I can get around to making 20 of them. It’s kind of funny, but something happens when you start making everything and people begin to appreciate it–they actually notice when you send them a cute card that you didn’t make yourself. As if you no longer have the right. I was actually somewhat accosted the other day by an acquaintance who wanted to see if I was wearing any jewelry I had made. It’s coat, scarf, hat, and longjohns weather, and she actually started stripping off my scarf! 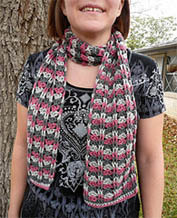 She was disappointed that a) I was not wearing any jewelry and b) the scarf I was wearing was knit–by H&M. Sigh. It was $3, what can you do? 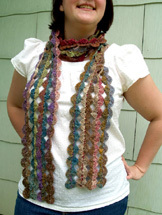 The yarn alone would have cost me more. Moving on…. 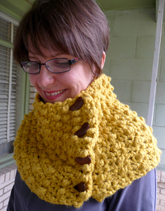 I also made some, for lack of a better word, cute projects for the winter issue of Crochet Today. The baby blocks were fun– you’ll get to practice your colorwork and textural skills to make an enticing visual and tactile festival for baby if you decide to work these up. 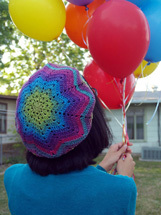 And the cupcake tea cozy–well, I just looked at the colors they’d sent me, and I couldn’t see anything else. It had to be a cupcake, so there. 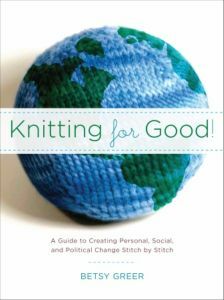 And last but not least, I wanted to mention this wonderful new book written by my friend Betsy Greer (who you may know from Craftivism.com), Knitting For Good. 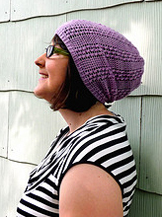 Her book is full of essays on why we knit and how to build positive change through craft. 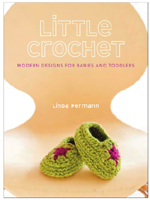 It really doesn’t matter whether you knit, crochet, tat, sew, or make recycled vases out of milk jugs– the ideas in the book will translate. 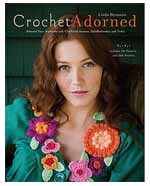 This book would be a great holiday gift for your favorite crafter–young or old–and in addition to the essays, it’s full of pretty patterns to knit for good. 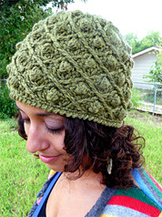 I contributed a knitted hat pattern for the book (my first!) 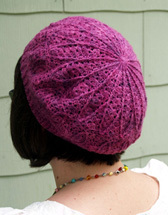 which would be perfect to work up and donate to a homeless shelter, or, in softer yarns, a chemo caps program. Definitely check it out. 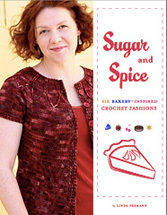 Betsy was also kind enough to donate a signed copy to my shop, which has already been swooped up– so now please go support her! As always, let me know if you end up making any of these things. I’d love to see them! those houses are so fun! great fabrics too. congrats on the publications! And thanks for the opportunity to get Kim's book while supporting a good cause. We are trying to build a bigger room for our medically fragile daughter (http://theroyalrealmofprinc...) so we know what medical bills can do to you! Our thoughts are with Jasenn! We wish him the best! 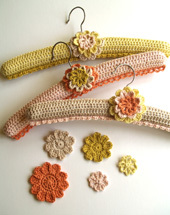 Those house ornaments are adorable, and I love those fabrics together. 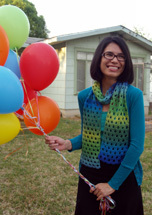 I loved those two projects in the current Sew Simple issue! 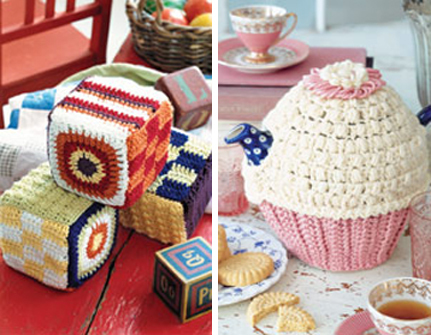 (especially the house ornaments) You could customize those in so many ways. 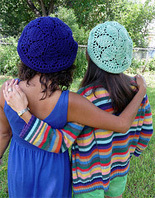 Great crochet projects too. 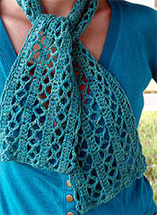 I really need to start making things for Christmas in June too.